While Nueva Vizcaya may be bypassed for the other provinces surrounding it: you’ve got Benguet in the west, Ifugao in the north, and Isabela in the northeast. Rather than treat the province as a rest stop on to other places, why not take the time to explore what it has to offer? Surrounded by three large mountain ranges in North Luzon, Nueva Vizcaya is a mountainous region offering lots of adventure and even history. A few municipalities in Nueva Vizcaya might stand out: Bayombong (the capital and educational center), Bambang (the agricultural district), Solano (the financial hub) and Kayapa (the summer capital and “vegetable bowl” of the province), but there’s more to offer in its 15 municipalities. One such town you can visit other than the usual is Alfonso Castañeda. Named after its first governor, Alfonso Castañeda is a fourth-class municipality that counts rice mills and furniture carving as its main industries. Agriculture and livestock are the main resources in town while its main products are rice and soft brooms. 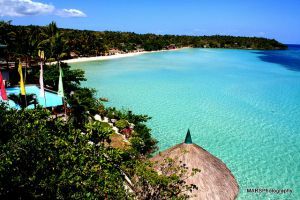 Alfonso Castañeda is also home to a minority tribe called the Bungkalots. The town center is one of the best places to start with as it usually has the major amenities. In this area, you’ll find the town hall, the parish church and the town plaza. But one of the biggest attractions here is the view of Mount Guiwan, especially when viewed from the town hall. Mount Guiwan is part of the Sierra Madre mountain range. At 1,915 meters above sea level, it is most likely the highest peak in the range. The Bungkalots use the area to hunt and have established trails for that purpose. No scientific survey has been done on the mountain, but an expedition carried out in 2012 by the Nueva Vizcaya Mountaineering Society found that wildlife – civets and monkeys among them – thrived in the forests. The expedition also found the streams to be abundant with eels while a waterfall was found near the summit of the mountain. A second expedition to Guiwan involving guides from the Bungkalot tribe was able to summit the mountain through a route they called the Zamora Trail – the ascent took three days from the jump-off point in Alfonso Castañeda. 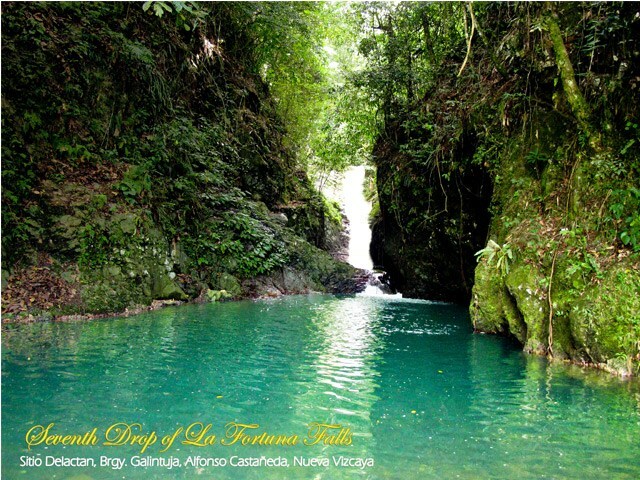 While you’re here, why not explore the rest of Nueva Vizcaya? As the citrus capital of the Philippines, you’ll find streets lined with vendors selling oranges, honey dew, sweet ponkan, yacon, red chandler pomelo and seedless Satsuma in Bayombong. Also of interest are the 17th-century St Dominic Cathedral, the People’s Museum Library and Nueva Vizcaya Provincial Capitol. 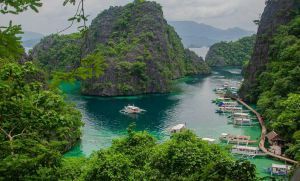 In Kasibu, you’ll find the Capisaan Cave System as well as the Lion-Alayan Cave System. You can even hike to Mt Pulag if you pass through the Ambaguio Trail. Or, you can get to Mt Pullol for views of My Pulag. 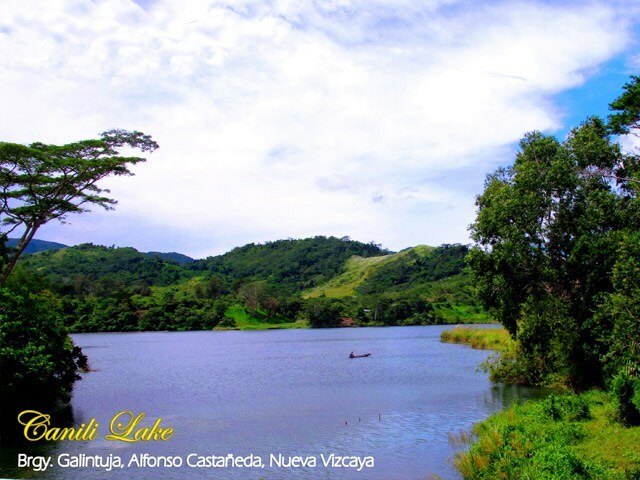 So when you’re traveling north, don’t forget to drop by Alfonso Castañeda in Nueva Vizcaya. Whether it’s just to take in the views or spend a few days, the trip will be worth your time! Hi Rose I Lee, pwde po ba ihike ang Mt Guiwan?